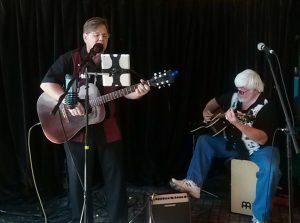 Doug Millaway and Wayne Hamilton met for the first time in 2013 when they were selected to “partner up” for a one-song co-writing exercise as members of the Minnesota Association of Songwriters. They had so much fun they wrote two songs for the exercise and haven’t quit since. They are at their best when performing live together as TWO TONE. When that happens, the two of them are enjoying themselves, and their audiences are invariably pulled into the joy. Their collective, vintage style comes from having “been around the barn” for awhile. 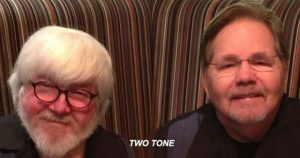 Doug and Wayne have been recording and releasing new music individually for decades, and recognition of their combined talents continues. 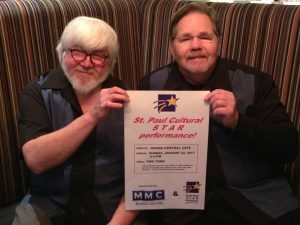 For example, the Minnesota Association of Songwriters has given their songs consistently positive reviews, they were two-time finalists in the Songwriters of Wisconsin’s latest songwriting contest, and they won a Cultural Star Award in January of 2017 from the City of St. Paul (MN) and the Minnesota Music Coalition. 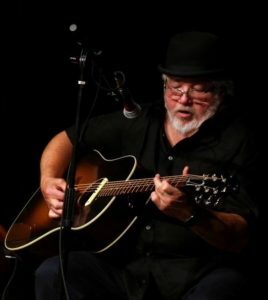 Doug is fascinated with all things instrumental, especially stringed instruments, and he plays/writes for many of them, as well as other instruments. 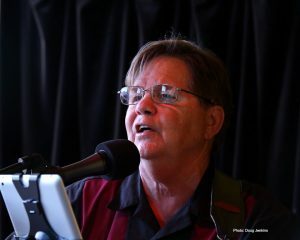 Wayne loves exploring the idiosyncrasies, large and small, of the songwriting craft and applying them to his vocal stylings as often as possible. 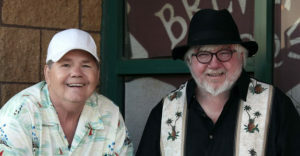 Together, they’ve released numerous songs to enjoy (so far), some on Wayne’s recording label, some on Doug’s. 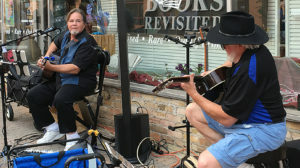 Regardless of the source, their music will keep your feet tapping. Better yet, you’ll have something to think about while you listen.